NTT Inc. - Beginning Welding Training: How Should Your Employees Prepare? 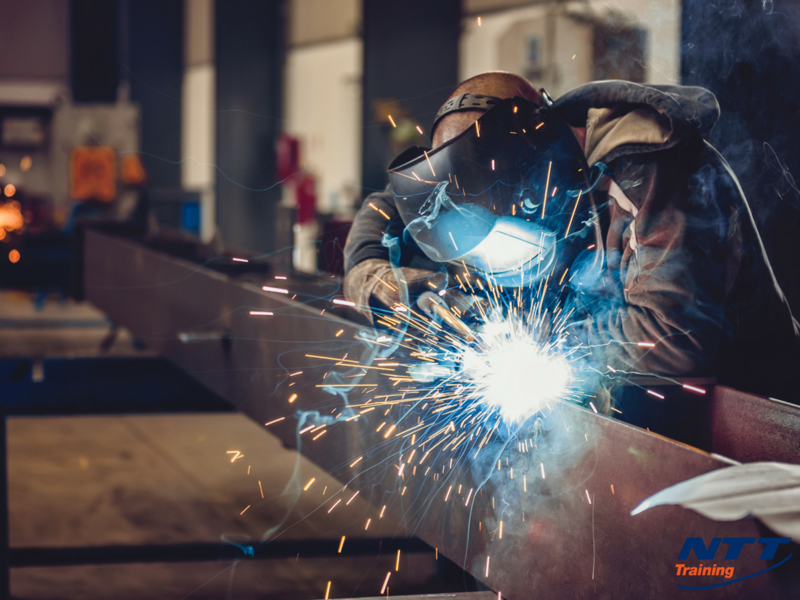 Welding is a common activity in various industries such as transportation, construction, manufacturing, shipbuilding, the military, nuclear power, creative arts, and much more. The field is experiencing high demand and offers great potential in a wide range of industries. If you’re looking to begin or advance your employee’s welding skills, proper welding education is vital. But why should you consider welding training? Any form of industrial training is an investment whether it is for an individual worker or company as a whole. Welding skills may be acquired by attending formal courses or through on-the-job training. However, a welder who has acquired formal technical and theoretical education understands the complete range of welding practices and procedures, including safety, welding process application, principles of welding inspection, safety, and troubleshooting. Welding training is a critical step in the process of ensuring that employees are qualified to handle any welding job. Skipping this step can put individuals involved in a welding project in danger. For instance, this job involves handling electrical current and compressed gases and asbestos and if workers are not trained to handle such hazardous materials, they could potentially neglect vital safety precautions. Being injured on the job is not uncommon among welders and those who do not protect themselves are exposed to long-term health risks. Some of the common hazards during welding are fumes, smoke, harmful dust, heat, light, impact, and penetration. Metal chips and hot slags can cause severe injuries and even loss of sight when eyes are not fully protected. The sparks and flammable materials can cause fires and explosions. Proper welding training will intertwine all the theoretical and practical knowledge of welding needed to perform a safe welding procedure and the skills learned can be immediately applied to a chosen industry. When it comes to certified welders, cases of injured workers are much lower, compared to those involving employees who did not attend any training welding courses. When your business greatly relies on welding to thrive, training your employees can help improve staff morale, business performance, and profit. Workers who attend a seminar will acquire new skills that meet the needs of your operation for now and in the future. Also, training your staff can result in better work safety practices, better customer services, and productivity improvements. Your employees are upskilled to do new and different tasks, keeping them fresh and motivated. They’ll feel that you value them enough to invest in them, improving staff retention and loyalty. Formal education differs from the on-job-training because the courses offered support a well-rounded, comprehensive education. In addition, students get a strong foundation in employee relations, customer service, teamwork, and understanding of business financial reports. Students learn with the latest welding equipment and heat sources and review concepts and techniques. Unlike on-the-job-training where workers only get to learn the trade in a particular welding shop, formal training allows for flexibility because instructions are received in both classroom and laboratory settings. Effectively preparing your employees before training can spell the difference between receptive, motivated employees and resentful, disinterested employees. Those who are not prepared adequately may not give it the attention it deserves. Communicate with the employees you intend to train and include the decision-making process by asking for their feedback. The importance of two-way communication cannot be stressed enough. Determine the specific reasons for sending your employees on training like to increase sales, reduce workplace accidents, or understand how to improve productivity. Give the workers an opportunity to review what they’d like to know and the outcomes they would like to achieve. Advise your employees about an upcoming seminar in-person or by email at least a month in advance to allow for rescheduling if there are employees who can’t make their scheduled training session. Send reminders a day before a training session. Give them a clear outline of the training, and its location, date, and time. When it comes to educating your workers about product knowledge, quality and expertise are critical. If you’re an employer interested in making your workplace a safe place for everyone and expanding the knowledge base of your employees, consider enrolling them in NTT Inc.’s Welding Principles and Procedures. To learn more about the seminar, contact NTT Training.